Acne is NOT a disease, but rather a condition that can be controlled with the correct methodology. 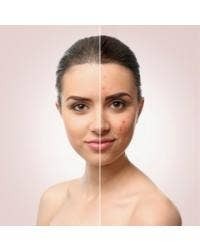 Nearly 90% of people in Western society will experience some degree of acne during their life, and acne and acne-like conditions present a complex problem to treat. If you have a magnifying mirror, you’ve likely freaked out a little over a blackhead. Otherwise known as an “open comedone” by skin care professionals, blackheads form when hair follicles or pores become clogged due to hormonal changes or by certain ingredients in skin or hair products. Acne – it’s an issue often associated with puberty and teenage years. The reality is that it affects everyone, regardless of age and it definitely doesn’t get less annoying as you get older. The urge to pick, pop and squeeze at your blemishes also doesn’t go away, no matter how many times the experts tell you to stop. 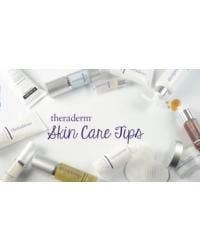 Between confusing, overstated infomercials and remedies straight from Aunt Fran, (you know she told you toothpaste doubles as a spot treatment), battling breakouts can be a head-scratching experience. You get to the point where you’ll try anything and everything just to see if it works. Looking for new ways to use your favorite Theraderm products? Want tips for getting your healthy and beautiful? Look no further! Our tips for getting the most out of Theraderm products now come in video form!